Nhà cung cấp: Random Products Emporium - giá Amazon: 29.87$ - shipping rates and return policy. PROTECT YOUR HEARING from damaging audio levels in loud environments. Remove excessive sound in any environment. PROTECT THE EXPERIENCE with our industry leading attenuation filters. Lower audio evenly to maintain the robust acoustics while protecting your ears. No muffled sound like foam plugs, just lower volume. 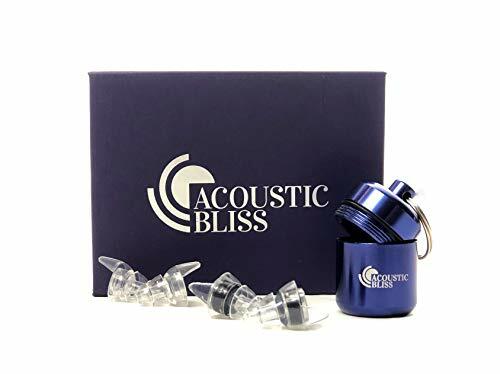 THE BEST FIT EVERY TIME with two pairs of large and regualr sized earplug shells inside every box. Fits most average to large ear sizes. Easy removal with our discrete pull tabs. SUPPLE HYPOALLERGENIC SILICONE is non-toxic & comfortable for all day use. Zero itching or pressure. Wear them all day at festivals, work, or a loud house. ALUMINUM KEYCHAIN CASE is over 30% shorter than other brands for better ON THE GO storage. 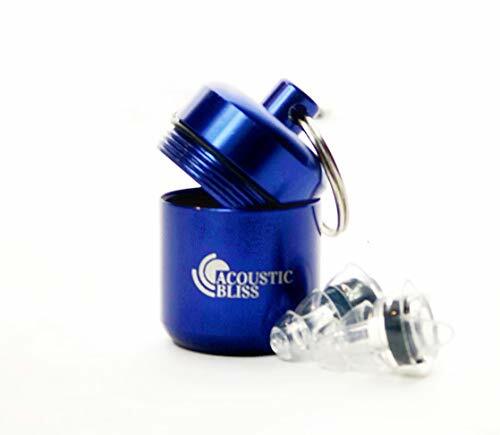 Rubber seal to keep dust and debris from resting on your earplugs.